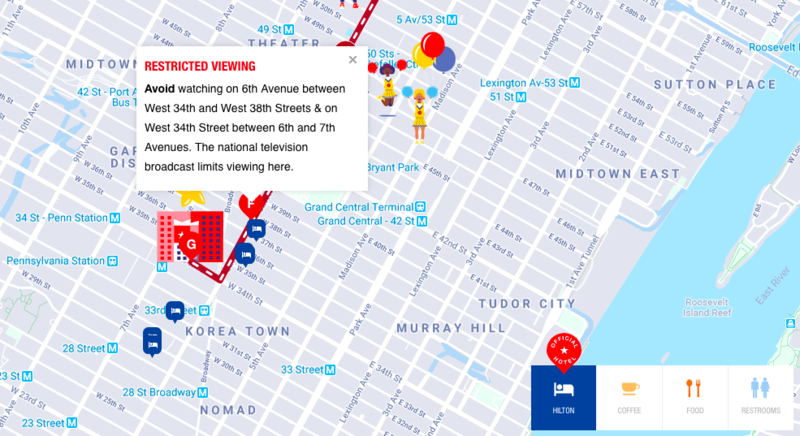 The parade rolls into gear at West 77th Street and Central Park West at 9 a.m. ET–though public viewing at that spot is limited. Pre-parade balloon inflation–a fun NYC tradition–happens outside of the Museum of Natural History (between West 77th and West 81st Streets). 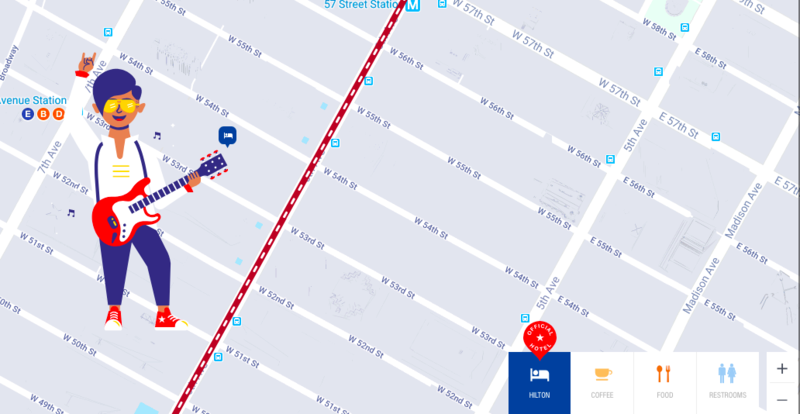 You can zoom in on the map to find out where your favorite balloons are going to be. 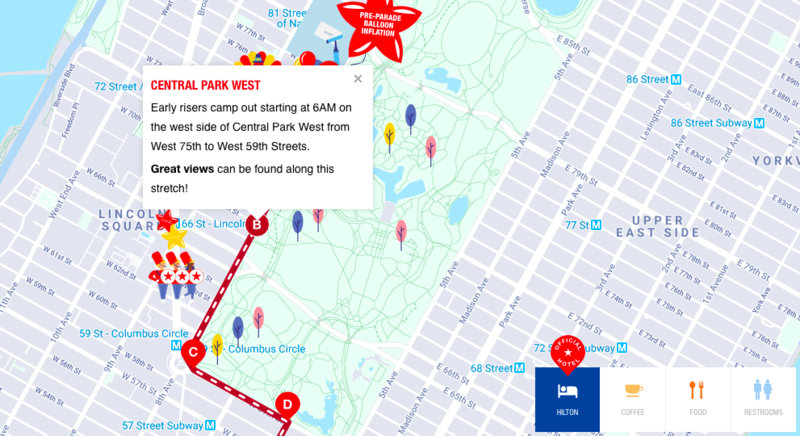 Early risers stake out space on the west side of Central Park West from West 75th to West 59th Streets starting at 6 a.m.; with reason, as views are great from there. 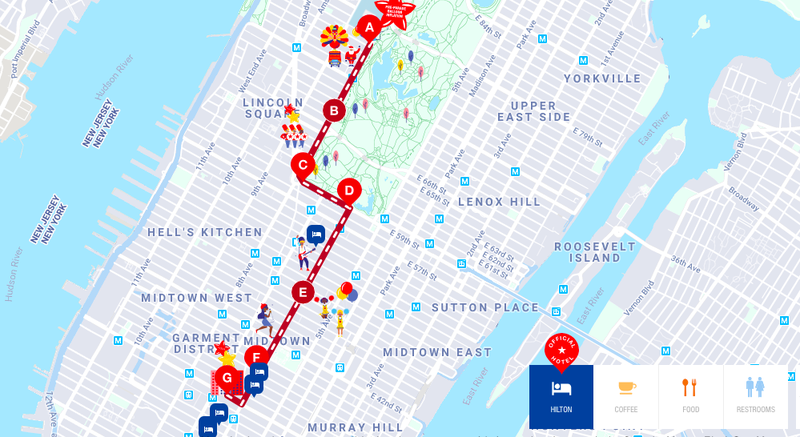 Check out the map and enjoy the parade!